Stamp and Create Magnolia Product Spotlight! 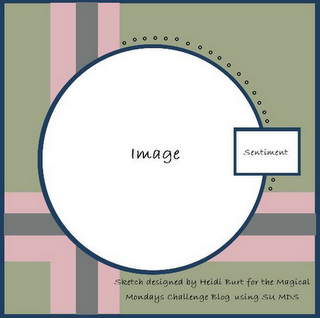 Our next challenge Magical Mondays challenge should be an easy one as it's a sketch I created by me! I got out some of my spritz spray and eclipse tape (tape used for masking) and created a unique card base. After I removed the tape, I outlined the sprayed parts with a copics liner then added the grosgrain ribbon. 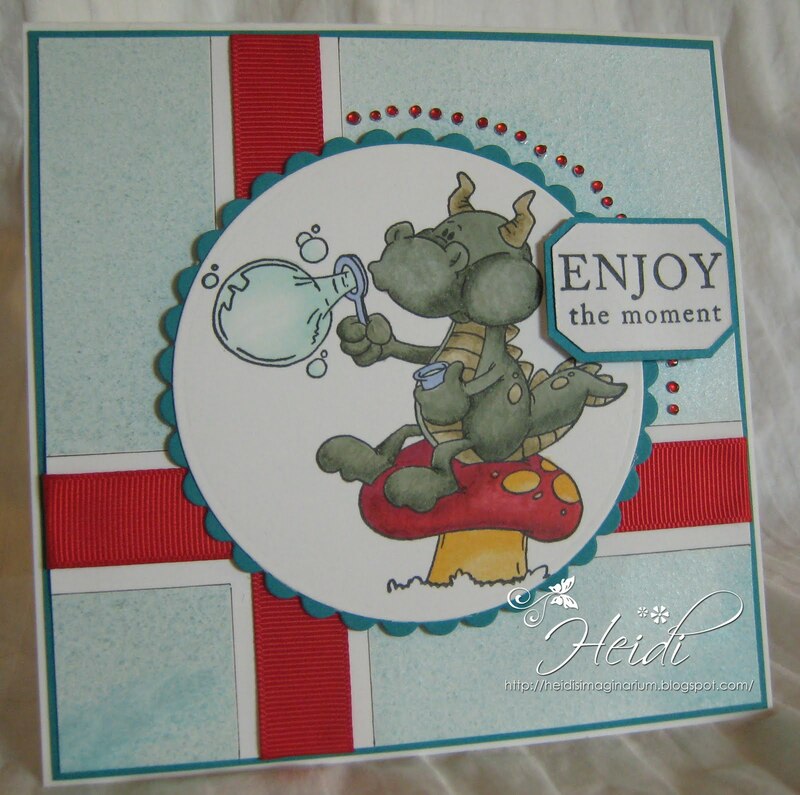 Fabulous card and super cute image. Loved using the sketch. What a fun card Heidi!! Love the dragon and your design!! Thinking of you! !